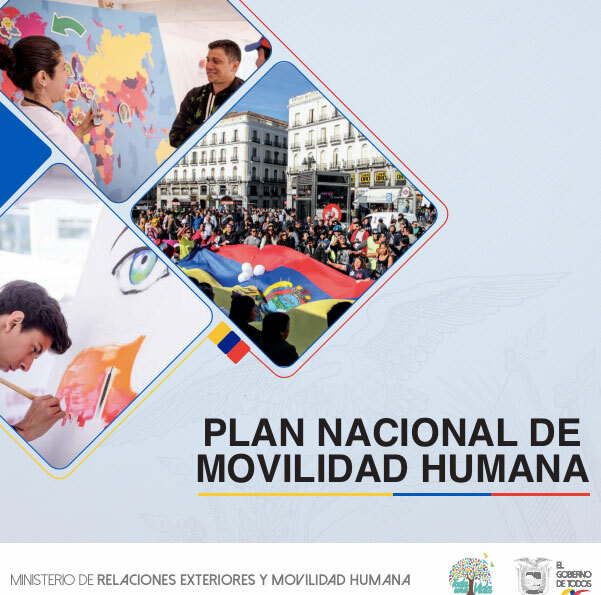 Manta – The Ministry of Foreign Affairs and Human Mobility of Ecuador this week (04/06) presented the new Human Mobility National Plan. IOM, the UN Migration Agency, had supported the Government of Ecuador during the development of the Plan. The Plan was developed within the framework of the National Foreign Policy Agenda’s 5th Objective, which focuses on "promoting the exercise of the rights of people in human mobility in all its dimensions". It is thereby also in line with the National Development Plan of the Government of Ecuador. The Plan is based on four policies aimed at promoting universal citizenship and free mobility in the international sphere; generate conditions to promote an orderly and safe migration; strengthen the protection of the rights of this population; and defend its diversity, integration, and coexistence. Ecuador is the only country worldwide to have established the promotion of the concept of universal citizenship in its constitution, aiming to promote the universal recognition and protection of the human rights of migrants. As guiding principles for the Plan, the Ministry of Foreign Affairs and Human Mobility established the aspects of policy coherence, intersectoral coordination, shared responsibility between all actors of public institutions, private sector and civil society, as well as progressive implementation and universal application of public policies. IOM supported the Government of Ecuador with the organization of workshops and dialogues with migrant communities, as well as background research to identify the needs of returned migrants, Ecuadorians living abroad and immigrants residing in Ecuador. These activities were also supported through funding from the Swiss Development Cooperation (SDC). “Ecuador continues to be at the forefront of progressive migration policy making. IOM is looking forward to continue supporting these efforts as defined by this multiannual national plan, including the related follow up for the Global Compact for Migration,” said Damien Thuriaux, IOM Ecuador Chief of Mission. Jose Luis Jácome, Vice Minister of Human Mobility, explained: "We are happy to have promoted the joint construction of the National Human Mobility Plan together with civil society, academia, and the international cooperation. The plan will provide planning tools to create effective and efficient actions from the State in favour of people in human mobility." During the presentation of the Plan, the Ministry of Foreign Affairs and Human Mobility signed two agreements with the Ministry of Economic and Social Inclusion (MIES) and the Artisan Workers Board respectively. These agreements are key to facilitate people in human mobility access to public products and services. Read the New Human Mobility Plan here. Ecuador has launched a Human Mobility National Plan.